Even though we've been traveling for over a year now, we're just starting to get into camping and backpacking. Turns out all the ultra light, high quality gear is expensive! Geez. So we were pretty excited when we ran across this little outdoor cooking set on Amazon. A piezo ignitor, cookware and a nice carrying case for 23 bucks? Why not? All we had to get was the butane. 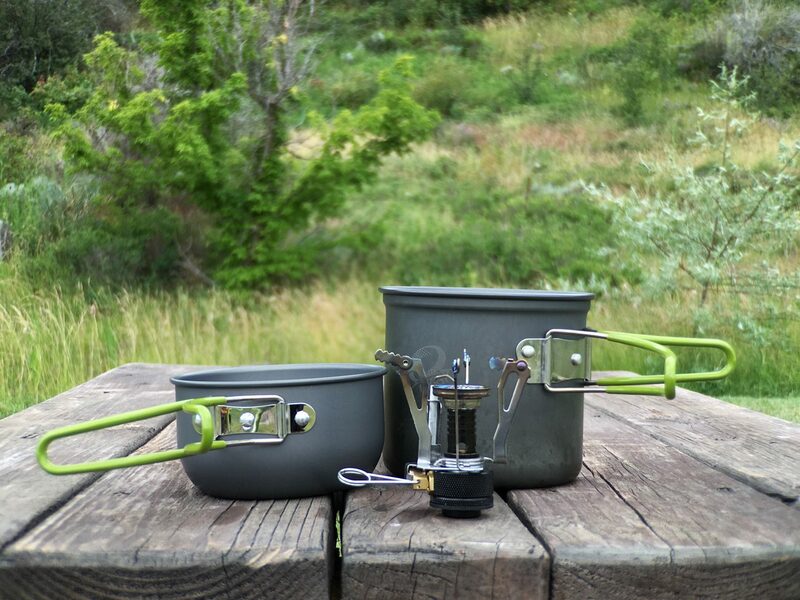 We ordered two sets and brought them with us on a recent camping trip at Wallowa Lake State Park. Turns out weather in Oregon is even more unpredictable than weather in our hometown of Knoxville, TN. The temps went from 90+ degrees to high 30's within a couple of days. And of course those were the days we had reserved to tent camp! Needless to say, with the near freezing temperatures we burned a lot of firewood and used the heck out of our little burner stoves. We made hot soup, spiced chai tea and hot chocolate all weekend. So how did they work? Great! It didn't take more than 5-10 minutes to boil the water and they cleaned up and stored easily. The only thing we'd recommend is maybe a wind shield for more efficiency and stabilizer for uneven picnic tables. Which are most definitely a thing! Here's a time lapse of us making lunch at the Hells Canyon Overlook.